CCGS Alexander Henry is a former Canadian Coast Guard Icebreaker, buoy tending, Lighthouse Supply Ship that served on the Great Lakes from 1959 to 1984. 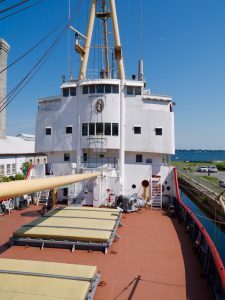 In 1986 the vessel was handed over to the Marine Museum of the Great Lakes in Kingston, Ontario for preservation as a museum ship. The vessel was constructed by Port Arthur Shipbuilding Co. Ltd. at their yard in Port Arthur, Ontario and launched on 18 July 1958. The icebreaker entered service in July 1959 with the Department of Transport’s Marine Service as CGS Alexander Henry using the prefix “Canadian Government Ship”. CCGS Alexander Henry served her entire coast guard career on the Great Lakes, stationed on Lake Superior. 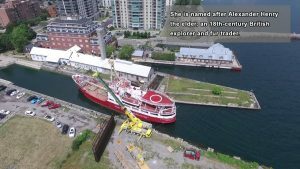 In 2017 arrangements were finally in place to bring the Alexander Henry home to Thunder Bay. The LTMS is recruiting volunteers to support their efforts to open the ship to the public as a museum. 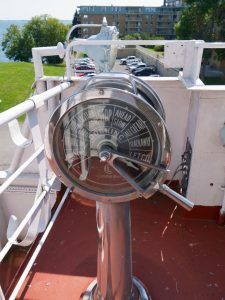 Volunteers are needed immediately to prepare the Ship for a soft opening in early June. Current volunteer positions include Cleaning of Cabins and Display areas along with other areas of the Ship. Volunteers are also needed to help load materials onto the Ship. In the near future, a variety of positions for volunteers will be established to get the Alexander Henry ready for public viewing. YOU can be one of those volunteers who will be needed to make this unique venture a success.